Robert Mallary (1917-1997) was an artist interested in new materials and cutting edge technologies that would enable him to be on the forefront of art making. 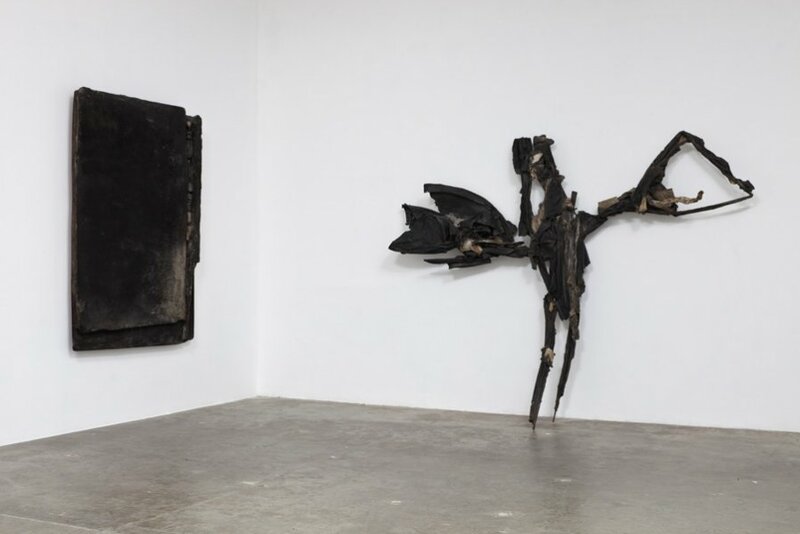 Freely blending figurative and abstract imagery in imposing, gritty assemblages Mallary created a unique body of work that is complex in material and form. 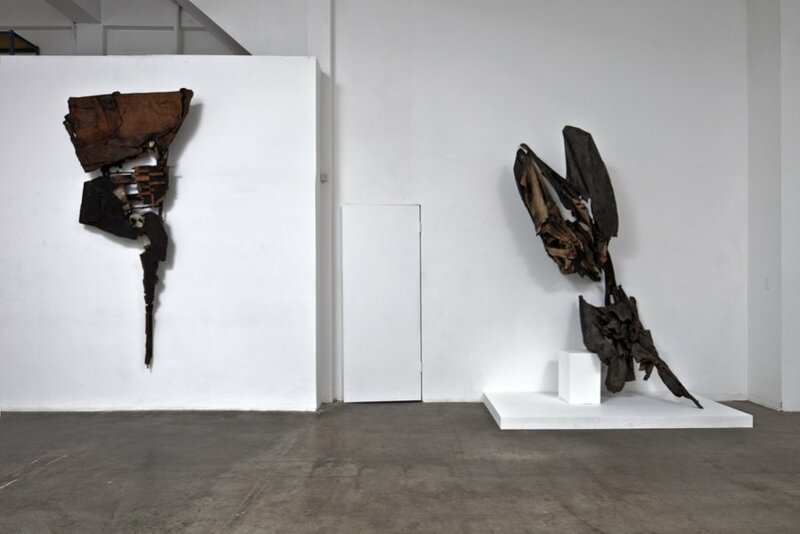 The Box is pleased to bring the work of Robert Mallary to Los Angeles for the first time since 1954. Robert Mallary was interested in exploring how different materials could be used to create a new type of realism. He began using polyester resin in the early 1950s when such materials were still experimental. This interest arose from his work in Mexico with José Orozco and José Siqueiros, activist artists interested in the idea of the artist as a worker in the modern world. 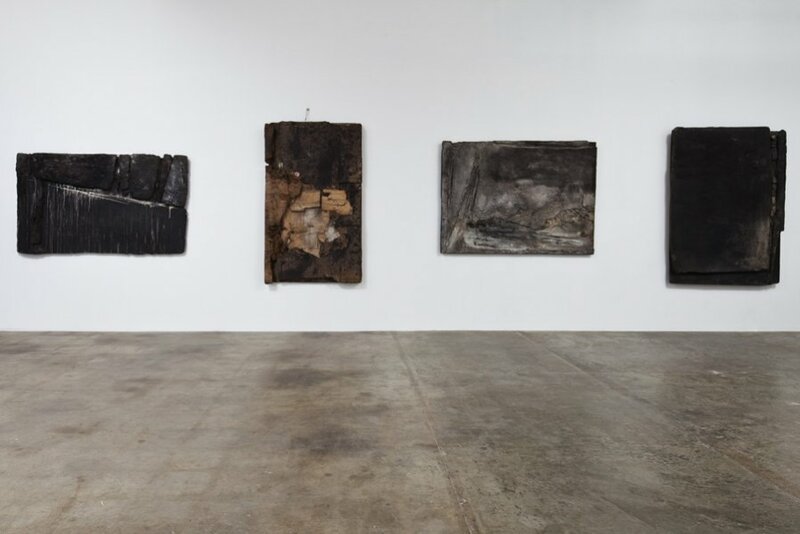 The exhibition at The Box will include some of these early pieces in which resin was mixed with dirt and concrete, creating three-dimensional wall pieces with thick, solid surfaces. These objects, made while Mallary was teaching at the University of New Mexico, are somewhere between painting and sculpture, presenting uneven textures that expose their ingredients’ original dry state, yet still holding shape and allowing for some malleability of form. 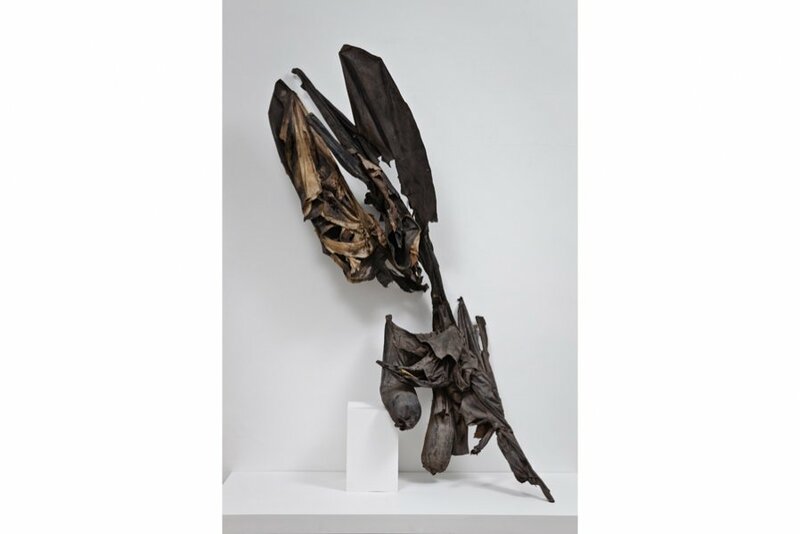 In one piece, Incubus (1959-1960), Mallary was able to create a dramatic black surface with a vacant line down one side with small blocks that break up the solidity of the strong black form. 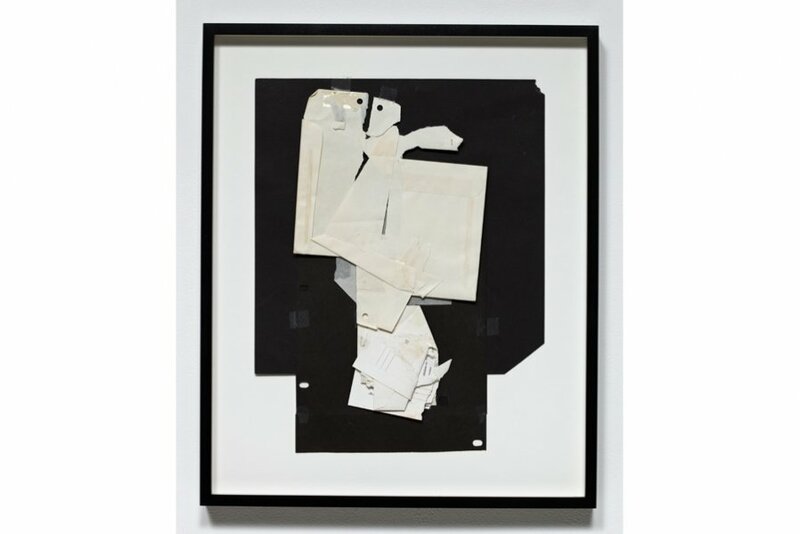 In the early 1960s Mallary moved to New York and began to incorporate debris collected from outside his SoHo studio, including wood, cardboard and other forms of paper. He used resin to stabilize these fugitive materials enabling them to hold complex shapes. 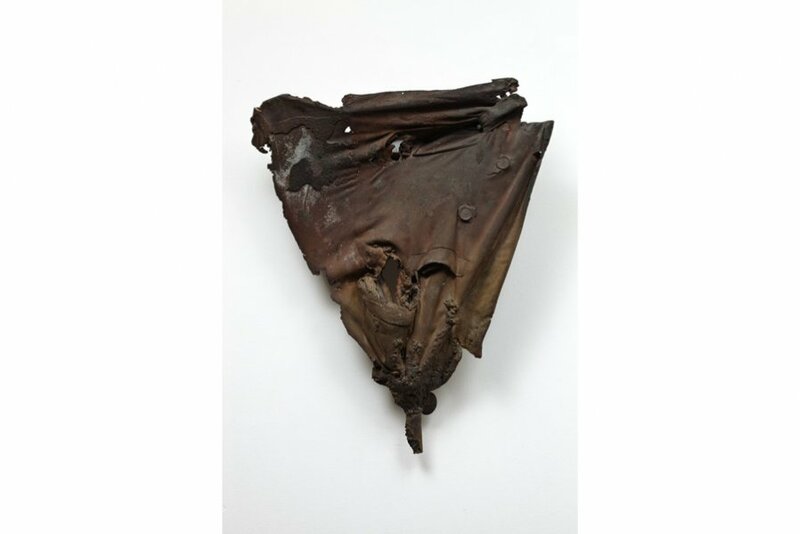 Jouster, 1960, included in the exhibition, is an important early example of this work and was a centerpiece of the Museum of Modern Art’s groundbreaking 1961 Art of Assemblage exhibition. 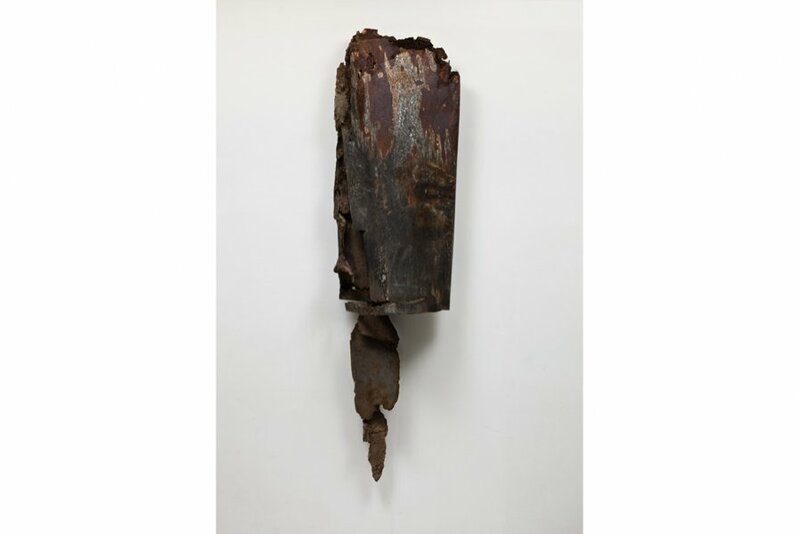 In this piece the artist freely manipulated cardboard, tarpaper, wood, dirt, steel and resin to create complex layers and forms. The materials were folded, bent, ripped and in some cases meticulously placed in patterns, bringing forth individual profiles of each material that come together to create an intricate wall piece. 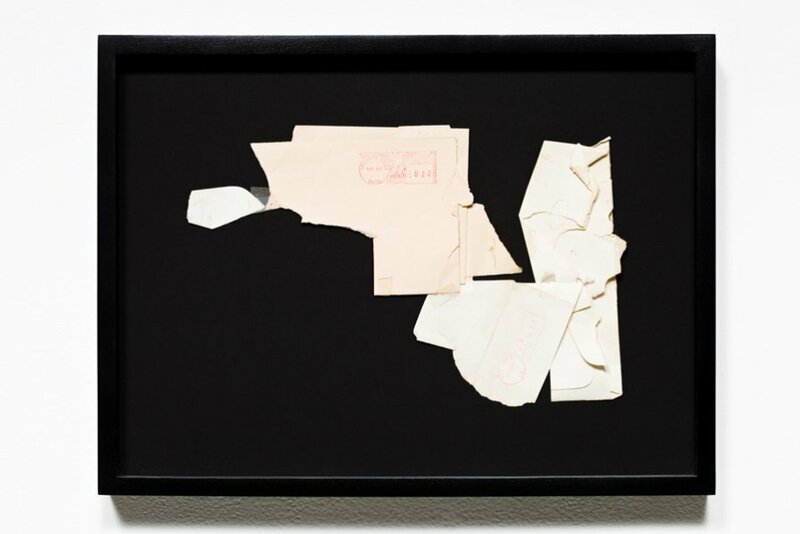 To further complicate the surface, materials such as cardboard were coated in resin and then splashed with dirt creating an intriguing surface, for it is unclear if the dirt is part of the piece or not. Jouster is an early example of a form that Mallary would come to use often in his work: a heavier element on top with a bottom that comes to a fragile tip. This unusual shape, conveying both strength and vulnerability, is distinctly classical, and gives Mallary’s work a formal elegance that contrasts markedly with the rawness of its facture. As Jouster demonstrates, Mallary was interested in using resin as a way to make the vulnerable, last forever. In SoHo, in the early 1960s, clothing recycling businesses occupied many of the loft buildings. 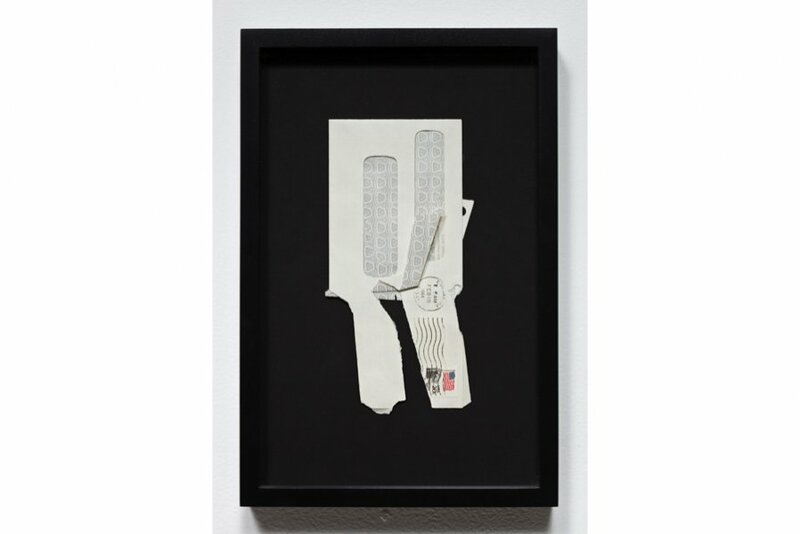 Mallary began to use tuxedos stretched over steel frames to form complex constructions of resin impregnated fabric. 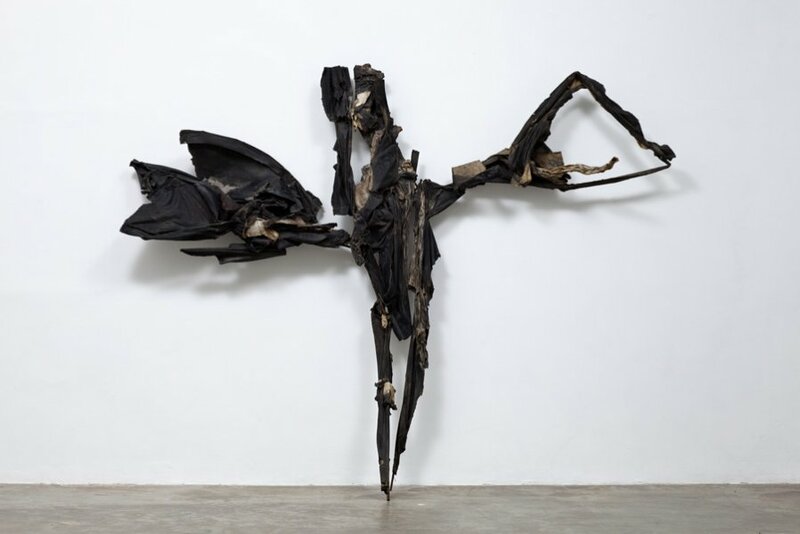 One of these pieces, Harpy, 1962 has a steel structure that forms an extended figure whose arms are wing like, creating what might be thought of as a whimsical figure. But the whimsical nature of this piece quickly turns dark; at 112 inches wide by 90 inches tall its looming form, empty of the human body the tuxedo was meant to adorn, leaving a yawning sense of destruction and death. This is not fortuitous. 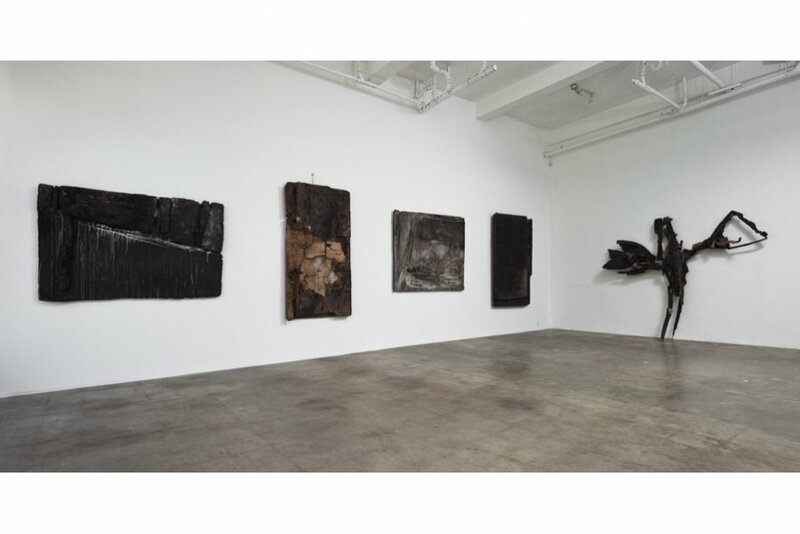 The tuxedo pieces were the last of Mallary’s resin assemblages. (He did begin to make them again in the 1990s.) To impregnate the cloth Mallary would submerge the tuxedos in vats of resin with his arms. He soon became ill from his use of the resin. Hospitalized, he did recover, and in 1964 wrote an article for Art News, The Air of Art is Poison, one of the first warnings about the toxicity of artist’s materials. This exhibition will present both some of these earlier works from the 1950s-60s along with some smaller pieces done in the 1980s that further exemplify the forms and shapes that he was captivated by throughout his career. 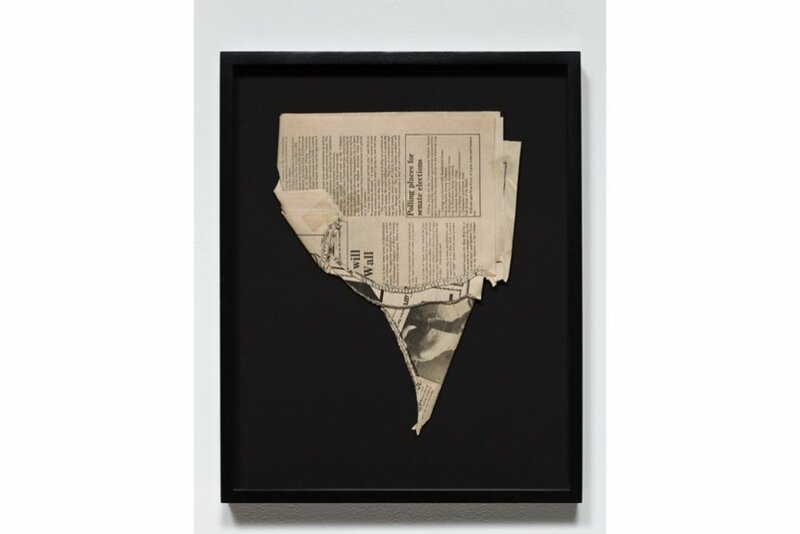 Because Mallary’s work of the early 1960s were canonical examples of New York-style Neo-Dada, many of these works were part of some avant-garde exhibitions, including New York Museum of Modern Art’s Sixteen Americans (1959) and Art of Assemblage (1961) and the Whitney’s Sculpture Bi-Annuals of 1960, 1962 and 1966. His work is in the following collections: Museum of Modern Art, New York; Whitney Museum of American Art, New York, NY; Albight-Knox Gallery, Buffalo, NY; University of California, Berkeley; Houston Museum of Art, Houston, TX; Los Angeles County Museum of Art; University of New Mexico, Albuquerque; SUNY Potsdam, Potsdam, NY; Gov. Nelson Rockefeller; Philip Johnson; Wayne Thiebaud; Allan Stone; June Wayne; Elaine DeKooning.